Quotes by "St. Thérèse of Lisieux"
Saint Therese of Lisieux, "The Little Flower", felt an early call to religious life, and overcoming various obstacles, in 1888 at the early age of 15, she became a nun and joined two of her elder sisters in the cloistered Carmelite community of Lisieux, Normandy. After nine years as a Carmelite religious, having fulfilled various offices such as sacristan and assistant to the novice mistress, and having spent her last eighteen months in Carmel in a night of faith, she died at aged 24, following a slow and painful fight against tuberculosis. 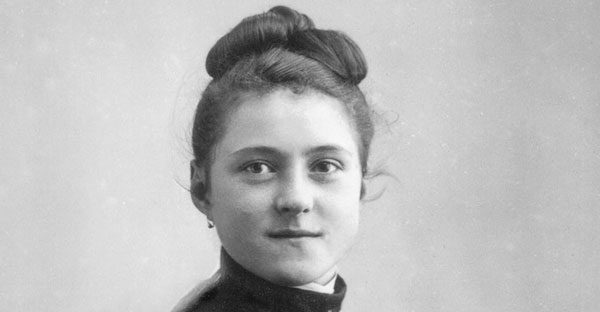 Thérèse has been a highly influential model of sanctity for Catholics and for others because of the "simplicity and practicality of her approach to the spiritual life". Pope Saint Pius X called her "the greatest saint of modern times"